Follow signs for Gorleston-on-Sea, proceeding along the High Street taking a left turn onto Baker Street at the traffic lights/crossroads. Follow the road round to Pier Plain. 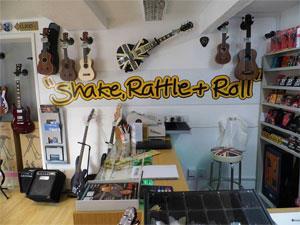 Shake, Rattle & Roll is located on the bend with plenty of parking nearby.